It has often been said that chiropractors think they can cure everything, and that perhaps they should limit their attention to back pain. Actually, chiropractors do not believe that they can cure everything. In fact, we believe we can cure nothing. 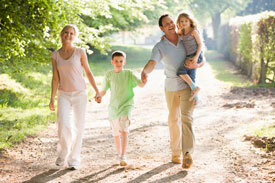 We believe that the body itself can cure anything, given the right healing environment. That is all we do —provide the body with a maximum healing environment by putting it into the right frame of mind in order to get the job done. An example in our own office was a female patient who was discouraged about apparent infertility issues. After adjustments to the lower back and pelvic region, with the specific intent of removing nerve interferences to the reproductive organs, this patient quickly became pregnant. A miracle — or just an appropriate response? The thing to remember is: The power that made the body in most cases can heal the body. The exception is if you have let the condition go on for too long, or if you continue to do the things that are slowly killing you in the first place. If you still doubt the healing power of chiropractic, just ask any chiropractor who has been in a practice for a few years about their miraculous cases. Are there others? Oh yes! But you will never experience your own miracle until you give gentle chiropractic care a try. We also encourage you to order a copy of Dr. Gazdar’s book, Take Your Back to the Future, for an eye-opening look at the true gifts of chiropractic. 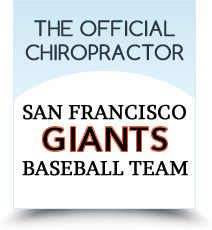 Contact us today at (925) 939-2225 and join our chiropractic family!